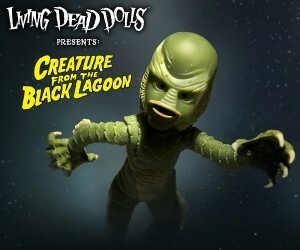 Mezco Toyz has created a limited edition variant of The Creature, from Universal's sci-fi, horror gem, The Creature From The Black Lagoon. Available from today at 1:00 PM. 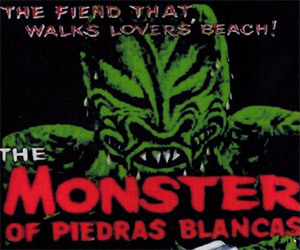 For a donation of just $10 to the Cayucos School Foundation, you can get a DVD version of the 1959 film, Monster of Piedras Blancas. It preys on human flesh, after all! 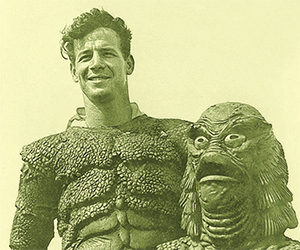 Ricou Browning, the actor who played the iconic Creature in Creature From the Black Lagoon discusses how the underwater scenes were done.